Stateside, Aug 28, 2008 was scheduled to be a pretty calm day in the video game world. It was a Thursday, so no major releases were scheduled outside of Outcry in the States and - for fans of the franchise - Oddworld: Abe's Oddyssey and Oddworld: Abe's Exxodus worldwide via Steam. That was until Square Enix, LTD announced their bid to purchase the publishing giant Tecmo. 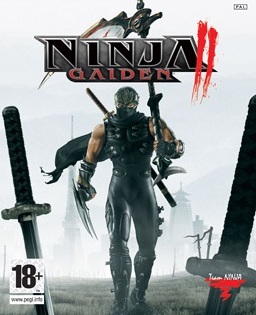 Despite the fresh success of Tecmo's XBox 360 exclusive title Ninja Gaiden II, which sold a million copies of the title in less than 3 months, the publisher was still in dire straights with a very bleak forecasted future. Square Enix took the initiative to offer what equated to roughly $205 million as a "friendly takeover bid." The offer had a shelf-life of seven days. After discussing the bid, the board of Tecmo delivered their decision of "no sale" at that deadline, Sept 4. Months after declining the deal, Tecmo partnered with Japanese publisher/developer Koie to form Koie Tecmo Holdings Co, Ltd. By 2011, the two would fully merge their developer operations into Tecmo Koie Games, although the brands are still used separately.